I rarely remember to take progress pics as I’m baking, but this time I did (mostly). 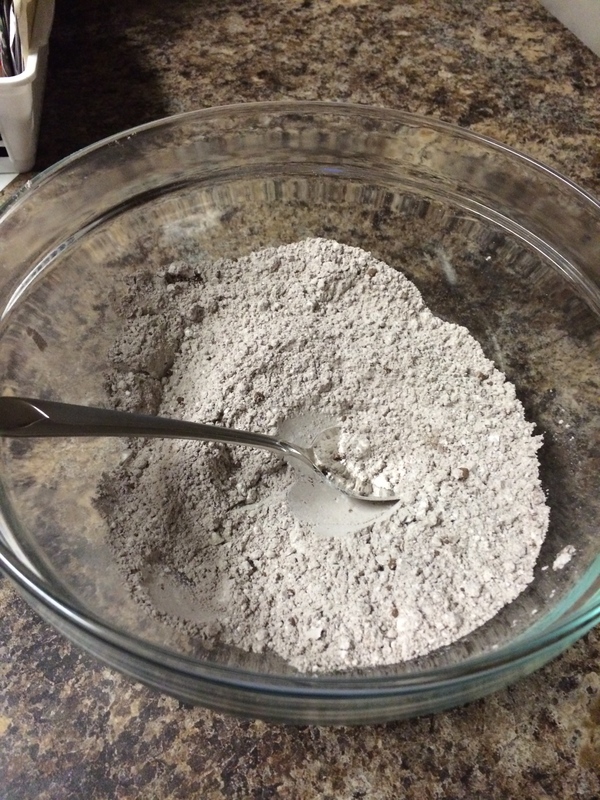 First, I mixed together the dry ingredients. Nothing out the ordinary here, except for dark cocoa powder instead of regular. 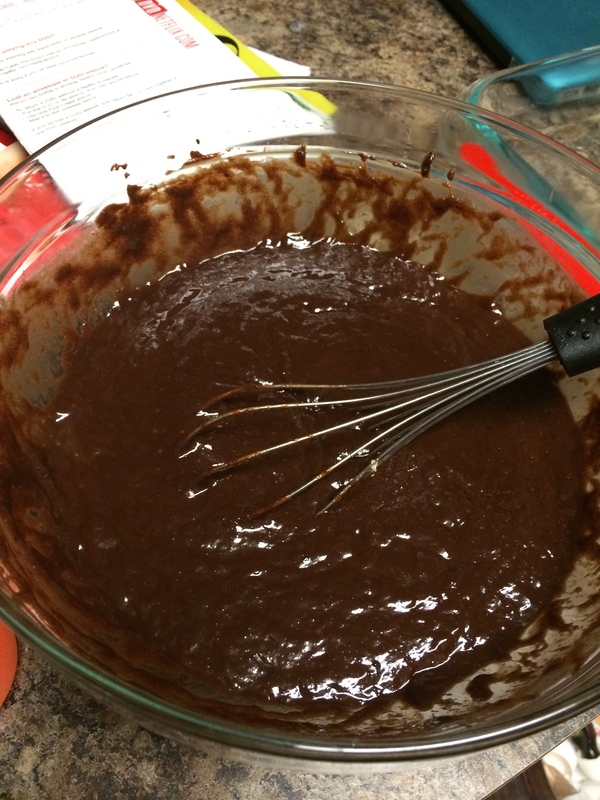 Once everything is all nicely melded, the eggs and sugars are mixed in. It’s starting to look like brownie now! Then the dry ingredients are sprinkled on top of the wet and folded in. Mmmmm, hot, chocolatey goodness. I made these the night I did because my husband was coming home from a business trip, and I wanted the house to smell delicious. It worked! 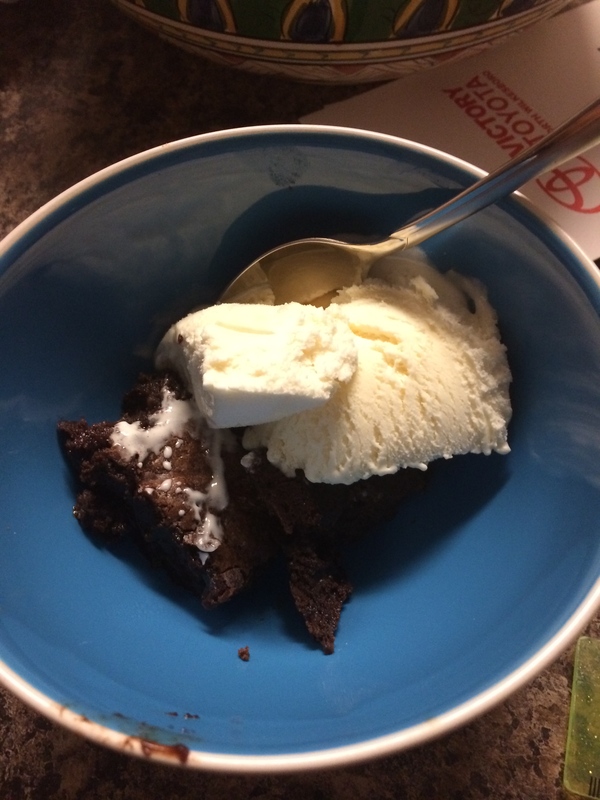 this is most definitely a brownie that begs to be eaten in a bowl with vanilla ice cream. Actually, because the brownie is so rich, I’m going to go out on a limb here and say that the ice cream is necessary. If no ice cream is available, whipped cream would do in a pinch. Both is better, of course. These brownies have earned accolades for a reason. 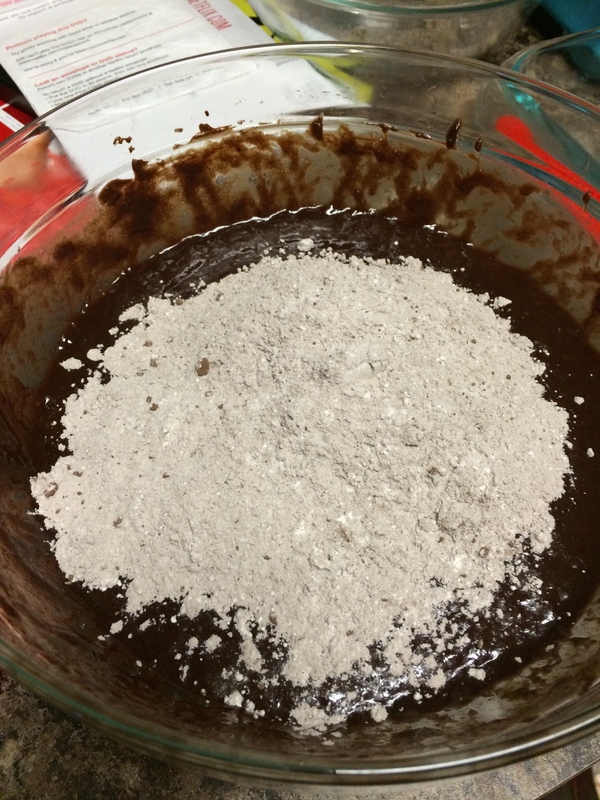 They’re unlike any brownie you’ve had before – all dark chocolate, 5 eggs, white and brown sugar, and no baking powder or soda. 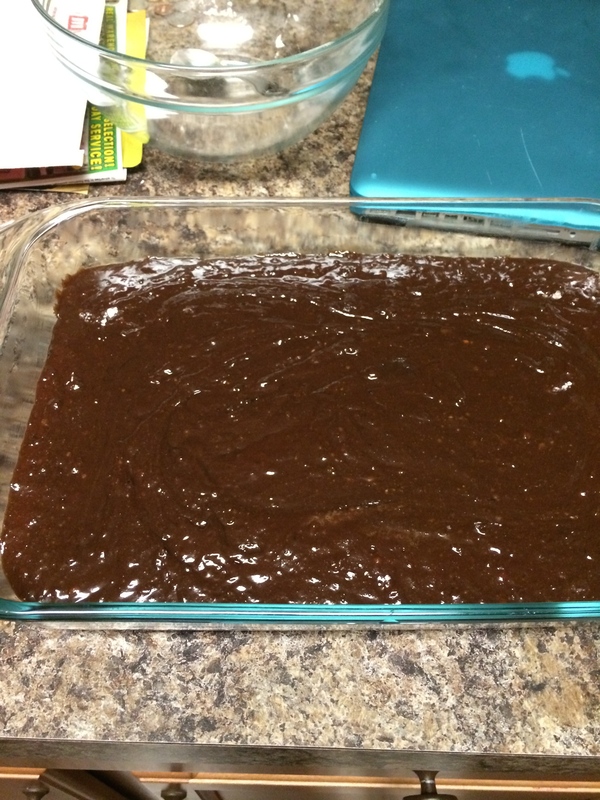 If you like your brownies to be cake-like, this is not your recipe. 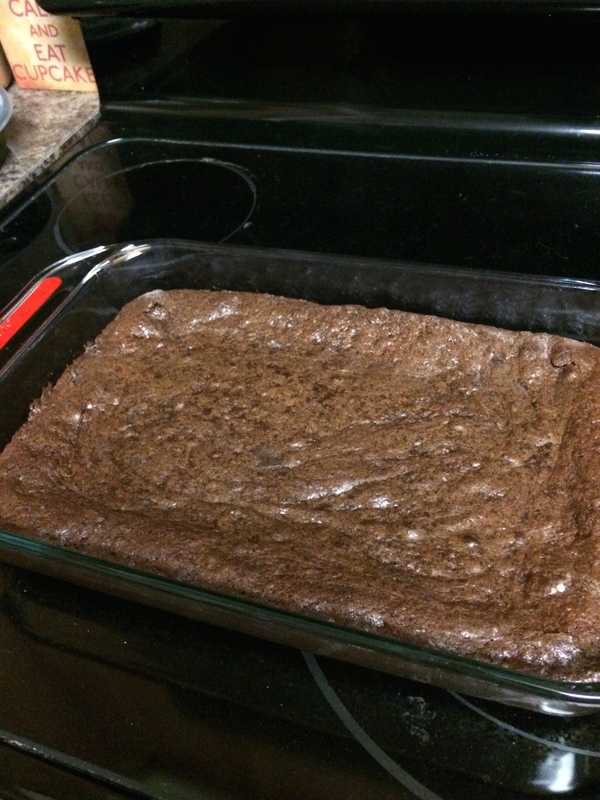 Dense and fudge-y brownies… oh yes. Now, if you’ll excuse me, I think I need to recreate the photo above. HOMF. 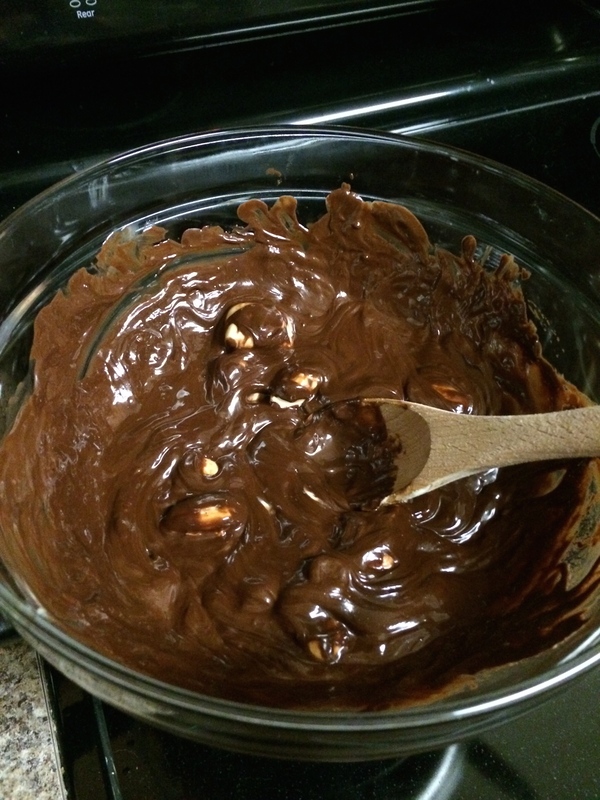 you really gotta start linking the recipes in your posts…I need this one. Omg looks so good! I haven’t had brownies in far too long.